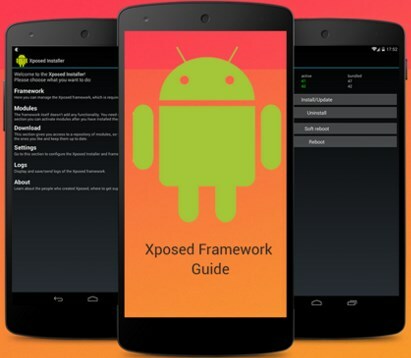 How to install Xposed Frameowork without Recovery on Lollipop – First,you should read the title once again! This article is for those who wants to install Xposed Framework on Android Lollipop but without Custom Recovery. If you understand, let’s we discuss about install Xposed Framework without Recovery. In this article we would like to guide you how to install Xposed Framework, but if you are looking for an article it is install Xposed Framework without root means you visit wrong blog, because this article requires you to root your phone first. What you have to remember that this article works for Android Lollipop only, so don’t try to follow this tutorial if your Android isn’t on Lollipop version. Flashfire (you need to be a beta tester to download and use the latest version). Download and install Flashfire application!, and then grant root access when requested to do it. Tap the plus (+) button at the bottom to display menu on the screen! Select “Flash ZIP or OTA” option,and keep the “Auto-mount” option unchecked then tap checkmark icon to continue the process! Tap EverRoot and make sure that all options are unchecked. Leave the Reboot option as normal to boot system after flash. Tap lightening button to begin flashing process on your phone! Belum ada tanggapan untuk "Installing Xposed Framework without Custom Recovery on Android Lollipop Devices"